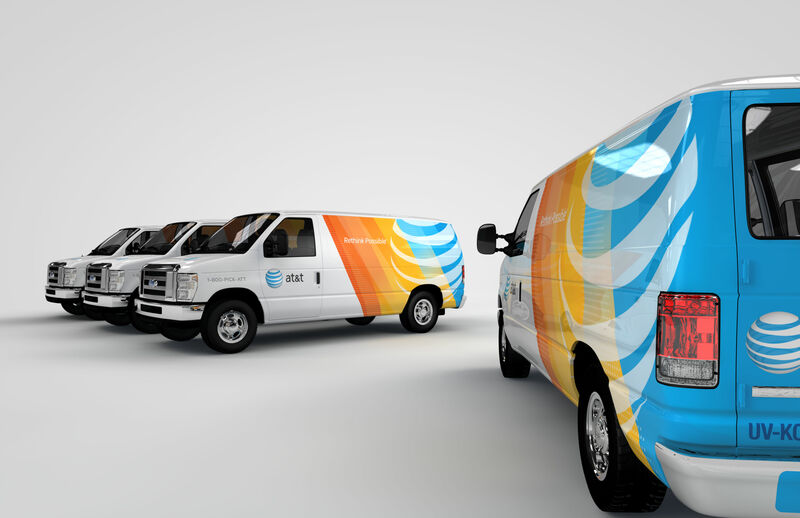 As an agency of record for AT&T, Interbrand-New York, was asked to explore new ideas for the brand that would give it a contemporary visual expression, starting with their newly acquired fleet of natural-gas-powered Chevrolet vans. The AT&T logo, with its ubiquitous globe and stripes, was taken as a starting point for design explorations. 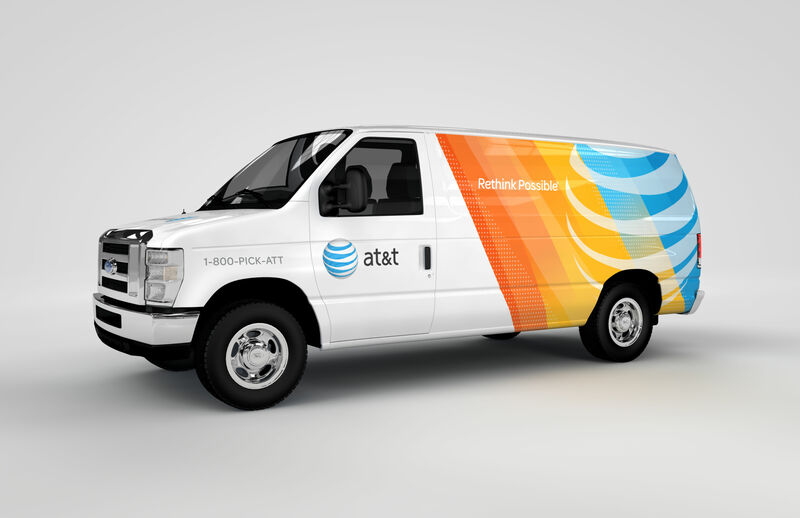 By enlarging and overlaying the logo stripes with colored bands, a new visual language became apparent; this was then applied to the vans based on a two-tiered design system. A standard pattern (pic. 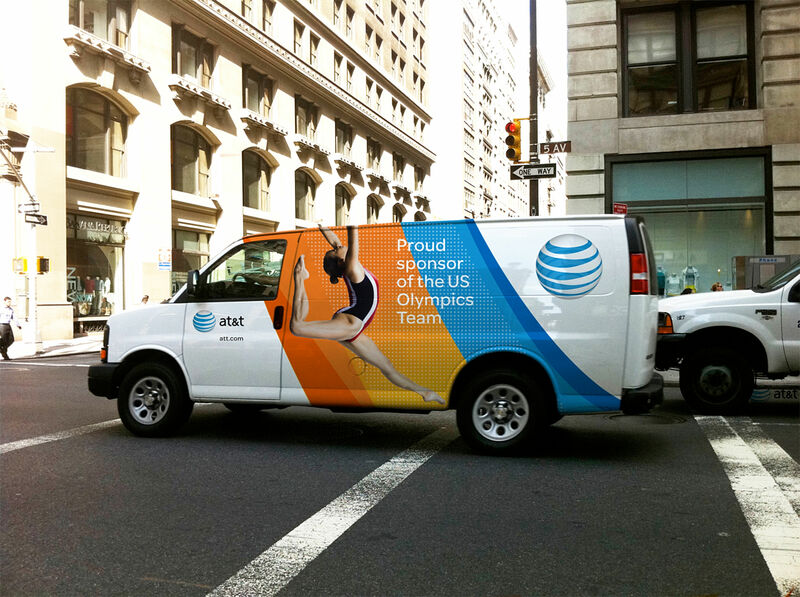 1) would be assigned for corporate vans, and a more flexible pattern with photography (pic. 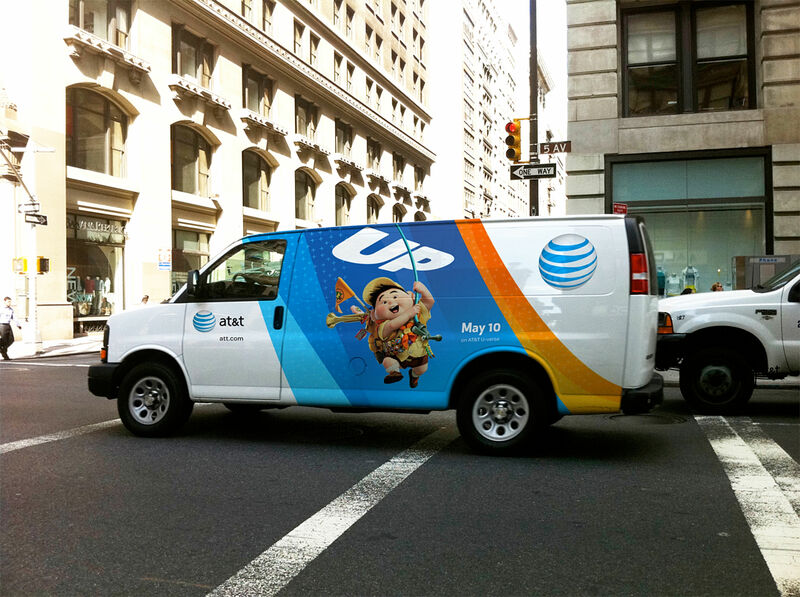 2–4) would be used for U-verse, a triple-play telecommunications service, that features premium content on cable TV. The last two images at the bottom show final revisions.